Whether you're thinking of investing in Lakeview Chicago real estate or comparing Loop condos to Old Town Chicago condos for sale, if you are planning to buy or sell downtown Chicago real estate, you've reached the right website! 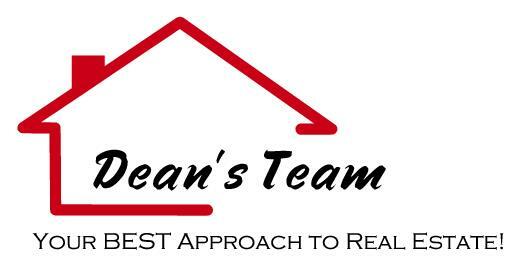 Dean's Team is your Chicago metro area expert, and we've designed this website to provide you with all the tools and information you need to research your next move. In addition to the resources on our site, we're here to guide you through the process. Unlike the searches you'll find on other websites, we provide a 2-in-1 home search that can show you every active Chicago area real estate listing. Review our Featured Homes, which contain more detailed information and lots of photos. Simplify your search using our free New Listing Alert service. You'll receive automatic e-mails when homes that meet your criteria are added to the MLS - all without talking to an agent! Try searching through the Chicago Neighborhood and Suburban Chicago Communities buttons on the menu to the left to review community information that will help you choose a new neighborhood. 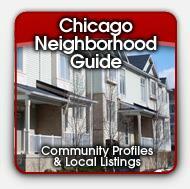 You can even download a free map of the neighborhoods in Chicago! Determine whether you should rent or buy, and determine the home prices you should target with our unique 4-in-1 Mortgage Calculators. Improve your real estate knowledge by reviewing the Buyer Resources page. Are you wondering about your home's value? Get a Free Home Evaluation. Improve your real estate knowledge by reviewing the Seller Resources page. 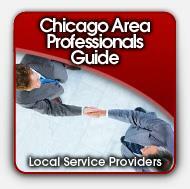 Learn about Dean's Team - we're Chicago experts! Read Success Stories from our clients - we've worked hard to earn our reputation. Get The Right Answers - Don't make critical decisions based on information from a website. It doesn't know you or your goals! Ask the Chicago Real Estate Experts. When you're ready to make a move, find out how Dean's Team changes lives every day. As lifetime Chicagoans, we know the neighborhoods and market. Whether we develop a customized marketing system that will net you more when you sell your home than you would realize working with other agents, or help you negotiate a home purchase that saves you money, you'll get the quality service you deserve. We're local experts in Chicago neighborhood condos -- we'll help you find downtown Chicago condos for sale to preview, or update you on this week's market for Lincoln Park Chicago condos for sale. Make your next real estate transaction an easy one! Call us toll-free at 888-770-8326 or use the form below to send an email. 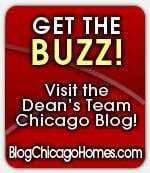 We're here to answer your questions, find you the perfect Chicago neighborhood condo, arrange to visit any home or property you see on this site, or discuss a marketing plan for selling your home! Thank you again for visiting. 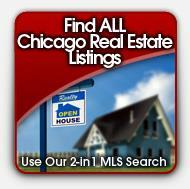 Enjoy your time searching through the Chicago homes for sale, and let us know if we can help. We look forward to hearing from you! Filed under: Chicago Neighborhood News! Filed under: Technology, Tech Tips!